Shorter mortgages generally come with higher payments, but they also have lower interest rates & cost far less in interest due to the loan having a much shorter duration. This infographic compares the advantages of 15 year mortgages over 30 year mortgages. Buying a house is one of the biggest and most important decisions that a person can make in their lives. For the majority of Americans, a mortgage is the only option they have to their first home or any subsequent homes afterwards. To mortgage a house, banks often require down payments that are around 10% of the total amount depending on your credit score, ability to repay and other important factors.The information below consists of the difference between fixed and adjustable rate mortgages, what mortgage rates are indexed to, the benefits and downsides to long or short term mortgages, how to prepare your finances to buy a home, how to successfully afford your mortgage, how often people move and have to switch mortgage terms around, incentives for buying, risks associated with home ownership and trivia facts that are focused on home mortgages. With any loan the two most popular terms that people will hear are fixed rate and adjustable rate. Mortgages are not much different from other loans in this aspect. Fixed rate mortgages allow the buyer to have one interest rate throughout the entire term of their mortgage. The rate does not change ever and will often be somewhat higher than an adjustable rate mortgage. With adjustable rate mortgages your rates will fluctuate depending on the economy and where you are at in the life of your mortgage. These rates often start out much lower than a fixed rate mortgage but can go up months or years after the mortgage loan starts. Both of these types carry their own benefits and disadvantages. It is important that remember a few key points when you decide whether you want a fixed rate mortgage or an adjustable rate mortgage. They are extremely easy to understand, very good for first time buyers that are not familiar with mortgages or any of the language that a loan officer may be using. Budgeting is very easy to figure out. This is also great for first time buyers or people who are new to maintaining a budget. Since your monthly payment will not change, you will always know how to budget it in. Your mortgage payment will be consistent no matter what. Even if there is a surge or crash in the economy, you can be sure that your mortgage payment will not change. With a fixed rate, there are no surprises. These loans are easy to begin with. The rates are often much lower in the beginning and begin to rise over time. Since rates are lower, payments are also lower. People are able to buy homes that they normally wouldn't be able to. Adjustable rates allow loan officers to quality people at a lower rate which will directly affect what they will be able to afford on paper. Give buyers financial freedom when there are lower interest rates available. If the current rates are lowered, the amount that is paid on the loan for that particular period is also lower. Money can be saved during lower rate periods to prepare for the times when the rates are higher. Often times it evens out to around the same amount when you figure an average between lower and higher rates. Can be too expensive for many buyers especially if your area has higher rates or rates that are harder to obtain. Homeowners cannot take advantage of falling rates unless they refinance their home. This process can take a long time, be somewhat costly and very frustrating to homeowners. Fixed rate mortgages can often not be customized to the individual home buyer. Most lenders opt to sell the mortgages to a secondary lender that does not allow the home to be financed on an individual basis. Having a second party loan holder can be beneficial for some home buyers but can also make it hard to find everything you need in a mortgage. Rates can fluctuate greatly. They have been shown to increase as much as 5% in the short span of only 3 years. An adjustable rate can be very hard for home owners to understand. Lenders are able to customize and individualize mortgage options for specific homeowners and this can create a lot of language that buyers don't understand and end up getting them into financial peril. Since rates can change quickly, it is hard to estimate what monthly payments will be. The rate could jump as much as twice after the closing of the mortgage which can be a very big shock when it comes to monthly payments. Mortgage rates are something that fluctuate greatly depending on the economy and other issues that are happening within the specific location. Many lenders are able to figure out which way mortgage rates are headed with the use of an important tool called a mortgage rate index. The index rate is often a formula that determines the amount of interest rates through a certain period. It consists of an index value along with a margin. The index value is what is consistently changing depending on the market while the margin is generally the constant in the equation that does not change no matter what is going on within the economy. The information that is contained in these mortgage indexes enable buyers and lenders to predict what the rates are going to be for a specified period of time. The shorter the period of time that the rates are being projected for, the more accurate the rate estimation and the index will be. Using this tool is a great way for lenders to begin advertising lower rates as well for buyers to know that there are lower payments coming. 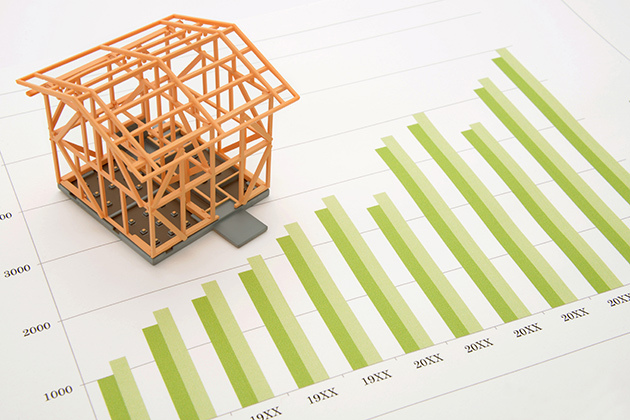 A mortgage index is often exclusive to home owners who have an adjustable rate mortgage. The adjustable rate changes as the index does. If the index value dips or soars, the rates and payments that home owners are paying will often increase or decrease depending on what the index has done. If mortgage rates are increasing, lenders will often not be very interested in advertising the rates as it will occasionally deter buyers from wanting to begin a mortgage at that time. It is important for all buyers that have used an adjustable rate mortgage remember that their rates are greatly influenced by the index value. Because of the various issues with an index value and the greatly varying rates that accompany it, many buyers choose to open a fixed rate mortgage. This type allows them to never have to worry about the index value of mortgages or having a fluctuating payment. Fixed rate mortgages allow the homeowner to have a fixed payment that will remain steady and constant no matter what the economy or the mortgage index value is doing. For this reason, many buyers believe that fixed rate mortgages are better. While fixed rate 30-year mortgages are fixed for 30-years, their rates tend to be based off of some spread above the 10-year U.S. Treasury bond, as homeowners tend to move roughly ever 5 to 7 years & tying yield to the 10-year Treasury yield matches duration risk. When you are choosing an adjustable rate mortgage, one of the most important factors to work out between you and your lender is your margin rate. This is the rate that will remain steady while the index value changes depending on outside factors. It is important to find a lender that will be able to work with you on the margin rate and choose one that offers a fair marginal rate. Work with your lender to determine what a good margin is to work with. Most times, lenders will have information concerning the upcoming index values which will better help you determine what a margin rate is that will work for you. ARMs are often tied to tracking moves in LIBOR. While all of this information may seem very confusing to a new home buyer or one who is not experienced with mortgage terminology, it is important to remember that margin rates and other things that lenders do are only there to help you find the most affordable and doable option for your future home. A fair and legitimate lender will be able to spell all of their terminology out for you and let you know exactly how your adjustable rate mortgage will work. They will also be able to explain to you what an index value is as well as what the index trends have been. When you are deciding on your mortgage, you will probably come across the question of whether you want a long term (30 years) or short term (15 years) mortgage. Both of these options can be appealing for different reasons and to different financial situations. Long term mortgages will often have a lower monthly payment, but you may end up paying more in interest. Short term mortgage payments are higher and the interest does not build up as much on these types of mortgages. It is important to find out all of the information you can on interest rates, term agreements and any other stipulations to both of these mortgages before you make your final decision on which one is better for your family. Both long term and short term mortgages have advantages and disadvantages that could directly affect which one you decide is best for yourself and your family. Monthly payments are often lower than short term because the interest rates are spread out over a 30 year period. The mortgage has more interest. This may seem like a bad thing to some buyers, but smart buyers will know that payments made on strictly interest can be deducted when it comes time to do taxes for the year. These lower monthly payments will be able to help homeowners with other expenses or to make more investments that could potentially yield more money than the amount that would be poured into the home with a short term mortgage. Homeowners that opt for a short term- or 15 year- mortgage are often offered lower interest rates by the lender. This is an incentive for getting buyers to go with a mortgage that is quicker to pay off. The short term mortgage allows borrowers to build greater amounts of equity because their mortgage term is spread over a period of 15 years as opposed to 30 years. This is a great way to improve credit and financial standing. The interest bills on short term mortgages can be up to 50% less than the interest that is paid on a long term mortgage over the life of the entire loan. Short term mortgages are great for people who do not want to "throw away" money with interest. Equity that is built over the term of the mortgage takes a very long time because the life of the loan is much longer than that of a short term mortgage. Equity, especially in the first few years, is built at a very slow rate if at all because most of the payments are made toward the interest of the loan. The interest bill on the loan is much higher. While this can be considered good for tax purposes it is also a disadvantage because a lot of your money goes to interest only. Interest rates are much higher than the rates on a short term mortgage. The actual monthly payments on these loans can be around double of what they would be on a 30 year mortgage. This is because buyers have a shorter amount off time to pay off the mortgage, making it higher and occasionally more difficult to pay off. Short term mortgages often restrict borrowers to what they can buy. They may need to decide on a smaller house to be able to afford a larger monthly payment. In contrast, long term mortgages often allow buyers to purchase a larger or more expensive house because the amount is spread out over 30 years and the payments are much lower. Most potential home buyers know that there is a lot involved in the process of home buying. They should understand that past financial records along with consumer reports and credit scores will be scrutinized by lenders and other loan officers. It is also important for people who are trying to buy a home to prepare for their home buying experience ahead of time. This will ensure that even years before, their financial records are in good standing and look good to banks which will show their responsibility and ability to pay off any future mortgages. The following are some ways to be ready to buy your home confidently. Make sure that you know exactly how much you can afford. Knowing this before you attempt to purchase a home or even apply for a mortgage will help you be prepared as possible. Decide what your budget is and use a hypothetical situation to determine the amount you would be able to afford. Do your research and find out what current and projected future interest rates are to help you determine better. Keep your credit in good standing. In the years leading up to purchasing a home, make sure that you are consistently improving your score. Make all of your monthly payments on time and do not accrue too much debt at once. Be sure that you can handle all of your monthly payments before getting into a new obligation. Keeping your credit score as high as possible during your entire adult life is one of the best ways to successfully obtain a mortgage. Starting months before you apply for your mortgage, do not open any new lines of credit apply for any new lines of credit. Opening more credit and having hard inquires on your credit score can directly impact your number. Having recently opened accounts or many different inquires about your credit score can greatly increase your potential interest rates and occasionally prevent you from getting a mortgage at all. Save all of your large credit purchases for after you obtain your mortgage and close on the house or simply pay cash for the majority of your major purchases. Eliminate debt before attempting to obtain a mortgage. Most of the people who are living in the United States do carry some sort of debt around with them. Whether it is in the form of school loans or large limit credit cards, it is important to consistently be paying on all of these debts. While it may not reasonable to completely get rid of all of your debt, it is important to reduce it. Begin by getting rid of any credit cards you do not absolutely need and try to consolidate some of your monthly payments. It is also very important that you pay more than the monthly minimum on any of your charges or payments. This will show potential lenders that you put more effort into your debts than what is required of you. Show lenders that you are prepared by having all of your bank accounts and other resources in order before you apply for the mortgage. You should have a monthly breakdown of all of your expenses and all of your resources before you even begin thinking about a mortgage. Have proof of these resources when you visit a lender in the form of bank statements, pay stubs and even employer or bank staff letters. Having a pre approved loan is a great way to be confident in your mortgage preparation. Visit a lender before you decide to actually begin a mortgage and have the institution pre approve you for the mortgage. This will increase your chances for better interest rates and will often help speed up the entire process. Everyone's financial situation is different. Some people are able to afford a lot of money on a mortgage payment while others are not able to afford very much. If your credit is good, you have been approved for a mortgage and you have a secure job you should be able to make the mortgage payment that the lender has suggested to you. This is a generalized assumption and should not be taken as a rule or as the only thing you take into consideration. To be sure that you can afford a specific loan make sure that you're payments are a fair balance of interest and principal, your monthly payments are not more than 1/3 of your monthly income, you have done your research and found out different loan rates from different companies and that you are not in danger of losing any resources within the foreseeable future. A good example of an affordable mortgage is one that has a fair balance between the principal and the interest. The principal is the original amount that you financed while the interest is the amount you have accrued over the term of the loan. While your first few years of payments will generally be exclusively on interest- depending on whether you have a fixed or adjustable rate or a 15 year or 30 year mortgage- the payments should not always be interest. While you are paying on the interest charges, the loan should also allow you to slowly chip away at the principal amount and build equity on the home. This, in essence, is a very fair loan. Most lenders, along with other companies that allow you to finance or pay off a loan, will require you to have a certain income. Different companies use different methods for determining the income requirements of their borrowers depending on their company's specific policies. While every company is different it can be assumed that 1/3 of your income is a good amount to be paying for a mortgage. Even if your lender does not require this, it is something that you should seriously consider. This way of figuring out affordability allows you to use 1/3 of your income towards mortgage, 1/3 towards other bills and 1/3 towards expenses and savings. At their core, lenders are essentially sales people. They will make a mortgage payment or interest rates sound very good to you without backing it up or informing you of all the disadvantages. Before you attempt to obtain a mortgage, make sure you do as much research as possible. Once you have researched and found what good rates are in your area, visit several different lenders and get an idea of the different things they offer in their mortgages and interest rates. Doing this will allow you to compare and contrast all of the pros and cons to each company's mortgage options before you make the final decision on what mortgage company you will be choosing. Sometimes when a person gets a new job or a great raise, they suddenly think they are able to afford a lot more than what they are able to. This causes them to live above their means, end up in debt and potentially lose everything if their resources suddenly become unavailable. Before you open a mortgage, or any type of loan, be sure that your monthly payments are something you will be able to manage in the long run, not just for now. It is also important before obtaining a mortgage, to completely secure your place of employment. This may mean creating a contract or signing documents that legally bind you to the employer. While it may seem like a difficult decision to do, it will help you be able to make your monthly payments on your mortgage. Moving is something that happens to most Americans at least once in their lifetime. Whether it is due to a job, financial distress or other reasons the average American citizen will move once every 5 years. This means that throughout the life of a short term mortgage- 15 years, an average American will move 3 times. The average will move 6 times during the life of a 30 year long term mortgage. These moves could have different impacts and consequences on the amount of interest and the different rates you are paying for your mortgage due to different locations and different economies. An important face to consider when opening a mortgage is your ability or inability to move throughout the term of the mortgage. A mortgage is essentially a loan and should be treated as such when you are thinking of moving or changing homes. Be sure that you sell your home for a fair amount that you can pay onto your mortgage, make sure you are not upgrading to a home you do not need and if you are moving out of state or to a different location in your state, find out their mortgage rates and different economies before you make the move. Depending on the real estate market and different economic aspects, selling your home right when you want to may not be a good idea. It is important to find out what kind of market you are trying to sell in to ensure that you get a fair price for your home. If you have done upgrades or improvements to your home, you should generally get back what you paid for it- you will not do this if the market is not right. If you absolutely need to sell your home at the specified time, make sure that the buyer is offering you a fair price and one that you will be able to pay towards your existing mortgage before adding to it with a new home. Often, when you sell your home, you will not be able to pay all of the mortgage including interest. For whatever psychological reasons, people believe that they need bigger homes. It is important to be practical when considering upgrading your home. Make sure you ask yourself questions such as "do I really need this extra room?" "how much will I use the pool outside?" and "am I going to be able to afford this home for the next 15 or 20 years?" Take time to consider the upgrade and judge if you really need it. It is a fact that many people who upgrade their home, actually lose money because of the mortgage payments and interest rates even if they have gotten back their principal amount from selling. Before you sell your home to upgrade, consider other options like renovating or improving the home that you are already living in. This can often be more affordable than upgrading to an entirely new home. If you have decided that you absolutely need a new home in a new area, make sure that the area is one that is affordable to you. This can sometimes be unavoidable for people who are relocating because of a job, but can often be avoidable with different options that your employer supplies for relocation. The area you are moving to should have interest rates and other mortgage fees that are similar to your original area. This will ensure that your interest rates and monthly payments will not greatly increase just because you have moved to a new location. To be sure that you can afford the monthly payments, make sure that the living costs in the area are the same or similar to your current area. This will allow you to continue living like you had been, even if you must relocate. You do not have to worry about reporting to a landlord or following rules that you do not agree with. The only rules you must abide by are laws and rules that have been set forth by your lender (which are often few to none). You can paint your walls any color you like and own a pet without having to pay a deposit on it. You can choose from what you like. Often times areas are very limited in what is available to rent. With home ownership, you can take your time and find a home that really suits your personality and your needs. There is a lot of variety in almost all parts of the United States when it comes to owning your own home. Getting a good deal is every home buyers dream. It is important to remember, though, that buying a home is a good deal in and of itself. This means that you would pay far less for a mortgage than you would to rent the home for the number of years that your mortgage term is. Buying a home allows you to save money. It may be more expensive for you to buy your home at the beginning, but in the long run it will pay off. A home is an investment that you will be able to sell once you have paid for it. It can earn you a lot of money when you take inflation and market values into consideration. At the current time, interest rates are at the lowest they've been in a long time. This is a fact that is true for most areas. Choosing to buy a home when rates are good will allow you to get a very cheap mortgage with great terms and rates. Speak with a financial expert to find out when is the perfect time to open your mortgage. Buying a home can actually help you if the economy starts to improve. When the economy goes up, so does real estate value and different aspects of the real estate market. When the real estate market improves, if you have taken care of your home and done necessary upgrades, you can potentially sell it for up to three times what you paid for it. Having something that is their own is very important to many Americans. Owning a home is one of the ultimate American dreams and it can be something you will call your own as long as you continue to pay your mortgage and keep the home in good condition. A home that you can call your own is a great way to take pride in what you do and how you live. With home ownership, you can protect yourself somewhat from inflation. Studies have shown that inflation is often beat by a few points in the housing market. This means, for you, that you will have a sound investment even if the inflation prices continue to fluctuate in the coming years no matter what your principal on your home originally was. Many homeowners chose to purchase the home they are currently in just because of tax reasons. Home ownership costs can be deducted from yearly taxes and can often help with the amount of taxes that has to be paid. Recently, the government has offered tax credits to people that purchased or built a new home. It is often hard to find a very nice rental that suits all of your needs. Most areas have a lot of limits when it comes to the rentals that are available and you may not be able to find one with everything that you need. Sometimes these rentals are not the best places to live because of previous tenants or landlords who do not care. Even if you purchase a used home, the majority of homes that are for sale are considerably better than homes that are available as rentals. Repairs: when you own your own home, you have to do all of your home repairs yourself. These can be very costly and often take a lot of your time while they are sometimes not worth what you pay for them. This differs from renting a home in that a landlord generally takes care of all major- and sometimes minor- repairs. Home Market Value: if the market continues to not do well and completely crashes, it can be very difficult if not impossible to resell your home. Any person that invests money, takes the risk of having a market crash or a market that continues to go downhill. You Don't Own It: when you finance your home with a mortgage, you do not actually own the home, the lender that you financed with does. Your home ownership depends on your ability to repay the bank or lender that you worked with. The home is not completely yours until the mortgage is completely paid off. Your Income Isn't Guaranteed: especially in today's market and difficult times, not every person is guaranteed a job. You can get laid off or fired as easily as the next person and this can gravely affect your ability to repay. When you mortgage a home, you risk not being able to live in it if you are not able to pay for it. Your Real Estate May Not Appreciate: most people believe that as time goes on, their home will only increase in value. This is true in many different cases, but there are still some cases where homes have significantly decreased in value as time went on. Be sure that you are getting a home during a time when homes are increasing and not decreasing. Not Many Moving Opportunities: when you are mortgaging a home or purchasing a home that is financed, there is often not many options for you to move or relocate. This means that, for the most part, you must stay in the same home for the life of the mortgage, whether 15 or 30 years. You do have the option to move but you will likely lose money have to endure a lot of hassle. Interest: when you purchase a home using a mortgage, the majority of what you pay is actually interest. Especially in the beginning, you will pay very little to no money on the principal of the home. This is a bad idea for people who do not enjoy throwing money away towards interest or other things they will not get benefits out of. 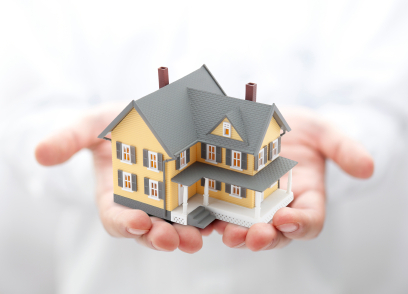 Homeowner's Insurance: when you rent a home, you have the option of obtaining renter's insurance. It is not a necessity. Homeowner's insurance is a necessity. It will be able to cover you if anything out of your control happens to the home and will protect you from having to pay exorbitant amounts. The downside to homeowner's insurance is the premiums. You may pay thousands of dollars per year for the insurance when you might not ever even have to use it. You're Your Own Landlord: with rentals, landlords take care of keeping their homes up to code and enforcing their tenants to obey by certain city and town laws. When you own your own home, you do not have anyone to help enforce you to do these things and you may become completely irresponsible and disregard laws. This can put you at risk for fines, losing rights to your home and — in some extreme cases — getting arrested because of your home. When you rent you are still paying many of the above costs, but you pay for them indirectly through your rent payments. If you calculate a home purchase without considering those other incremental expenses then it is easy to under-estimate the true cost of the mortgage. Rent payments can often be as high, if not higher than a monthly mortgage payment. This is true especially if you live in an area where more people rent than buy. It is important to do research in your area to find out if you are paying more by renting your house than you would owning your own home. The government will actually pay you for purchasing a home. Especially in the last few years, there have been tax credit opportunities to people who purchased a home at some point throughout the year that they are filing taxes in. Having a down payment will give you a good start with your home. This down payment will go toward equity, which is the portion of the home that you actually own separate from the bank. Even if your down payment seems small to you, it can actually make a big difference in your mortgage payments and the amount of equity you have. Getting pre approved is one of the fastest ways to get yourself on track to home ownership. Even if you are not 100% sure that you want to purchase a home right at that time, pre approval will be able to tell you what you can afford in a home and give you a better idea of what your mortgage will be. Interest is tax deductible. While you cannot write your home off on your taxes completely you can write off the interest you pay on your mortgage. Be sure to keep detailed records and ask your lender for an itemized statement that shows exactly how much of your mortgage payment goes to interest and how much goes towards your principal. You can achieve one of the top American dreams. This means that you could eventually own a home that is completely yours while you do not have to a landlord or any other person that is controlling you.